Respect my authority! But whose authority? Help us find out on BTU! Even if Great Britain never had an Academy of English similar to the France’s Académie Française or the Spain’s Real Academia Española, authority is still assigned to different bodies. But to whom? Who or what do you consider an English language authority? Grammar matters. Spelling matters. Punctuation matters. Do you care? This is crucial information which can save and change your life and the lives of others. You may be not aware of the impact your use of grammar, spelling and punctuation can have on your future. Texting ur beautiful to your crush can kill butterflies and put feet back on the ground. 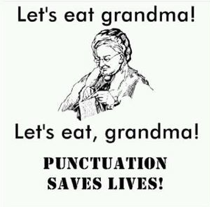 Misplacing a comma can save lives, especially the ones of your beloved grandparents. And do you never dare splitting infinitives, because they can mean life or death. Okay, this is maybe slightly exaggerated. But the truth is that there are many who care about flawless grammar, correct spelling and impeccable punctuation. If you do not want to miss out on finding your soul mate; if you want to save your grandparents’ lives and the entire universe, you should pay close attention to how you use your language.